verb: delay or postpone action; put off doing something. "it won't be this price for long, so don't procrastinate"
"fear of failure often causes people to procrastinate"
And that's what it often boils down to. What are you willing to risk to be successful? What are you willing to do to reach your goals? What sacrifice are you willing to make to achieve your dreams? There is a GREAT song out right now called "Dream Small" by Josh Wilson. It's about appreciating the simple moments and it's poignant and perfect and wonderful and inspirational... but how can you dream small and think big? And how do you rationalize wanting success, working toward a dream and yet being satisfied with the simple things in life? You're thinking too much. Let go and let God. And if you want to be a writer, then do it. It's a simple matter of blocking out time... some time... amount to be determined by you... each day. Or 4 days/week. Now if you get distracted by shiny objects every five minutes, that's not my fault. If you get lost on facebook (really??? REALLY???? ), again... your fault. If you watch bad TV or good TV or even mediocre TV... your fault. If you sleep ten hours a night... your fault. And that's not me being mean (although I do have a reputation to maintain!!!). You don't have to dream big... but you have to put in the effort needed. The way to win soccer games is to be the team that is less tired in the second half. The better-conditioned team. The team that runs a little bit faster and sharper. The team that is less tired wins the ball, controls the ball and defends the goal more ardently. The best runners make the best soccer players... and they make the difference between owning the field... or buying the first round of drinks after the game. Self-discipline is the best friend of the writer. If you love it (like so many of us do!!!! ), it's not a chore. If you fear it, it is a ginormous chore. Whether or not you write is up to you. What you want to do with your life, your dreams and goals: up to you! "When I stand before God at the end of my life, I would hope that I would not have a single bit of talent left and I could say, "I used everything that you gave me." 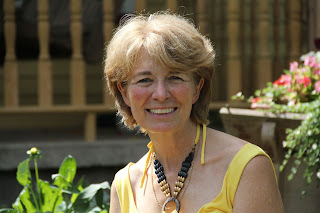 Remember what Nora Roberts is fond of saying: "It's not the most talented that gets published. It's the one that did not quit." People of faith should see this more clearly than anyone else because they understand the gifts of the talents and the fruits of the spirit... and yet... we hesitate. We shrug. We put off... We procrastinate. It's August. Nearly five months left in 2018. If you choose not to, well that's okay! But remember it's not because there isn't time or space or opportunity. God gives that in abundance. It's because you made the choice. So what's keeping you going? Why do you write? And what do you write? And... are you going to stay with it? 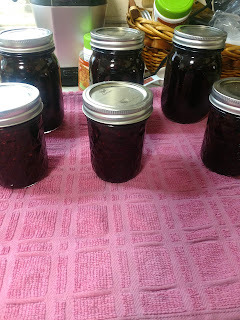 Homemade Blackberry Jam from wild blackberries on the farm. Farmer Dave picked the berries... I made the jam. These jars won't be for sale. They'll be for Christmas baskets... In four months we'll all be talking Christmas... And it's never a bad time to be thinking of the Christmas story you want to publish next year! Come on in. Grab a cuppa, or I'll make you some tea. And a copy of "An Unexpected Groom" the first book of her "Grace Haven" series... Leave a comment to have your name tucked into the cowboy hat! Because everyone can use a hug. Even from a bossy but well-meaning author! Multi-published, award-winning author Ruth Logan Herne is probably working at this very minute on her Western New York pumpkin farm, or writing seventeen books, or watching forty-six kids... all of which is exaggerated. The point is, she is not a procrastinator and she wishes you wouldn't be, either, but she knows that's up to you so she just kind of bosses folks around... and eats chocolate. You can be her friend on facebook, follow her on Twitter, go to her website or just hang our in Seekerville and Yankee Belle Cafe... and talk faith, fun and fiction... and romance! If you haven't looked, don't leap! Procrastination is delay when delay is not called for. Is diving in without a plan a cloaking device for procrastination? See? You get it! :) Well done, my friend! And now I'll have that Kenny Rogers song in my head all day! But that's okay, I love that song. I tend to do the job I like least, first. Then everything else feels like a reward. Although I do mess that up sometimes! I'm so glad you're here, late night visitor! Good morning Ruth, and you are right. It doesn't get any easier. I'm contracted and looking forward to being published (FINALLY! ), and now I have to adjust to meeting other people's deadlines. Best if we get into a routine BEFORE we sign a contract. As we go into fall, I'm seriously evaluating what I can let go from my schedule (not much), and how I can make this work. One thing I've done is set aside one morning for business, contests, reviewing, writing guest blogs and the like, so I can have the rest of the week for the actual writing. I like your 4 a.m. stint but I'm not that desperate yet although it may come to that. I think we also need to realize how fortunate we are to be able to do this. As you've often said, it's the best job in the world. Right now I'm in editing mode for two books, getting primed for ACFW, and research mode for a couple more. But I'm desperate to actually WRITE something. I think I will fool around with a Christmas novella and see where it takes me. Ruth, a good shot in the arm as always. Thanks. I love your enthusiasm... and your patience... and your ideas. Yes, I'm grinning, because it's crazy and true. We had a facebook party last night for all of the August Love Inspired authors and it was so much fun (all orchestrated by Dana Lynn, she's amazing)... and it made me realize that reaching readers is a big goal, but that with combined effort we make it easier on ourselves. It's like Rayna said to Scarlett on "Nashville," "You've got to want it. Procrastination also came from the Greek mythological character Procrustes, an innkeeper, ironworker and psycho who "stretched" his guests to fit an enormous bed until they died. Do we want to be identified with that? No! Let's get the job done people. This is like listening to the father on "My Big Fat Greek Wedding" talk about the Greek origin for EVERY WORD... because those Greeks knew how to do things!!!! Especially when they come bearing gifts. Hugging you right back! I think another thing that leads to procrastination is listening to 'nay sayers'. There is always someone waiting to tell you all the bad things about your goals, plans and dreams. Don't listen! Chances are they are saying those things because they are SCARED to chase their own dreams! Ruthie, I am like you....I do what I like the least first to clear my mind for the fun stuff. Rose! This is such an excellent point. The naysayers are talkers... they are the dark voices, the doubters... And they have every available negative statistic known to man on how you are going to fail!!! Those who believe something can't get done should get out of the way of the people doing it. And yay that we think alike, Rose! I just like getting those things done... and then diving in!!! Encouragement and motivation. What more could anyone want this morning!!! Awesome, Ruthy! Love it! Well, food would be good!!!! :) CAKE FOR EVERYONE!!! Ruthy, as usual you give a great kick in the pants. School is about to start again and I did not do much with my writing goals this summer. (I guess I did sell one story to Pockets magazine!) I'm not sure what is holding me back, but I do want to continue, so I will move forward with the 5 months that are left in the year. Please enter me in the drawing for a book! I remember that you mentioned that sale a few days (or a week?) ago, and I was going to give you a shout-out then! Congratulations, Sandy! Yay, Sandy, on the sale of your story! Fantastic!!! So proud of you! Agreeing with Rose! Selling to Pockets is huge!!! I'm applauding. Sandy, that sale to Pockets is awesome! And you've got 5 months left... 500 words/day over 150 days is 75000 words. 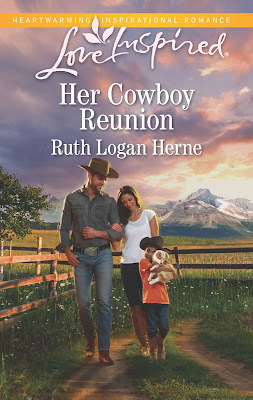 Ruthy, I finished reading Her Cowboy Reunion last week and I loved it. Such a great story of healing and how God can use the bad stuff in our lives for good. I battle procrastination all the time. For the most part, I win, but there are those days when I have to ask myself why I write. Then I remember that I write because God called me to do it. That He's given me stories someone needs to hear. And that's the best motivator of all. Great pep talk, btw. Sometimes we need a good kick in the pants. A reminder to stop making excuses and do what we say we're going to do. Stop talking and start acting. I love pants-kicking! It makes me happy. It brings out the old soccer coach in me! (which is why I can talk soccer... and love soccer!) And right now I'm hearing about another corrupt NY politician and plotting a story in my head because I am that tired of corrupt politicians. What is the matter with people??? Why is enough never, ever, ever enough? And that's a shameful situation in our great land. Mindy, we can pep talk each other because you're right: The good Lord gave us this gift. How silly we would be not to use it! And not that it's about money although I like a paycheck. It's about heart and soul... and touching those hearts and souls. I was an 8th grade cheerleader at Sacred Heart School before cheerleaders did cartwheels and towers, etc. :) We won the PINK division!!!! I did not pursue cheerleading in high school, though, so it was a short stint, Missy. But I'll get pom poms for you guys! I will cheer you on! I'm disciplined enough if everyone will leave me alone, at least at this stage, it's still fun. But I find it hard to set boundaries with Other People. That setting boundaries thing... It's hard, especially when you're talking about family! But it's necessary if we're going to keep our writing time sacred. This month my writing time is doubly important. I have a deadline October 1st and a book release in September, so I have to ramp up the writing time in August. I've given notice to Other People that I'm not available this month, at least not until 3:00 in the afternoon. Jan, I hear you. Around here, if the farm guy sees me on the computer, that's his cue to give me a list of what he needs done. So I've taken to hiding. I may have to go to A DISGUISE. So yeah, I'm with you. Leave me be... let me alone. Give me space. We have to look at ourselves as professionals and set boundaries. It is often hard for women, which most of us are. One of my goals for this coming year is not to work my writing around what everybody else is doing. Harder than it looks, but I'm in there trying. Ruthy, I loved this post. I needed this post. And the gentle kick in the backside. It's been . . . A summer. Stuff going on with one of our boys. Emotionally draining. Wearying. Yesterday, I had time to work on. My story for the first time in weeks. And I kept getting distracted. And I think there was a little fear in there. But, I reminded myself about the fact that this is a good story. That I am able to get the work done. That people are cheering me on. And that helped me turn off all the online stuff and concentrate. Well that and some serious prayer. Jeanne, it's hard to balance family and work. I pretend I'm at an office and unavailable... and that's why I get up so early. Because once they're awake, it's this, that and the other thing. The early wake up call (and for some, staying up late) is a huge help to those of us with families. Because we need to be present for family. But if I was on a manufacturing line, I'd be gone 9 hours a day... so asking for four hours a day doesn't seem like a big hardship to me. (flexes arms...) Give me space, guys! Jeanne, hang in there. I have issues with one of my children too and I desperately long to "fix" her, but God is going to have to do it. And Do Not Fear. Ruthy, your words make perfect sense! My bedtimes tend to get pushed back when my husband is gone and then I can't get up early. I'm working to change that, cuz I like working early in th morning. I appreciate the mindset about working at home rather than working away, too. It's one I need to remember. Kay bee, you are right. God IS the only One who can do the work in my son. Thank you for your words. For the last four years I have been taking to heart the seekerville advice of writing every day. I believe it is paying off. No I still don't believe I am ready to be published yet but I can see some improvement. I've been looking for a way to keep track of my writing for each day and a way to tangibly see that I am meeting the goals. Well I found a place I can do that easily. Nanowrimo on their site now has a place when you can set goals for those months when it is not Novemember or the camp months. It is called goal setters and you can set the goal that works for you. I have set my goal for August it is a goal of 31,000 words by August 31. So far I am ahead. But on Sunday with all that was going on for church I wasn't able to write and then on Monday when I ended up suddenly in the ER I didn't get much written but yesterday I was able to catch up and make up. It is no biggie if I fail due to life circumstances that are beyond my control. But with the tangible chart I can see how I am doing and it spurs me on. In the goal I make it easy to reach but the goal in my mind is to see if I can beet the goal in a landslide and usually that happens. I am so glad they came up with the goal setters that is easy to use. I am usually not doing this for just one writing projects but since I have several it is a culmination of which ever one I am working on that day. That way if i get writer's block on one project I can continue on a different one. thank you Seekerville for all your help and encouragement. Wilani, sorry you had to go to the ER. Hope you're better now! Congrats! Seeing improvement is a big win-win! Your hard work is paying off! Wilani, good for you! I know the surprise trip to the ER wasn't a fun thing, but how blessed to have such good medical care. And I see the improvement in your work, too! When you posted last week... oh my stars, what a lovely improvement. We keep going, nose forward, chin down. Focus and follow-through! Wilani, I hope you're doing better now! Great post! And you ended up with a Ruthy hug! That fear is real. We all know it is. It's surmounting that fear and moving past it that is hard...and very possible. We don't do it alone. My favorite Bible verse is Joshua 1:9: Have I not commanded you? Be strong and courageous. Do not be frightened, and do not be dismayed, for the LORD your God is with you wherever you go. That first line always jumps out at me: Have I not commanded you? It isn't a suggestion or words of comfort. It's a command. Be strong and courageous. So now it's time to apply the self-discipline, carve out that writing time, and do what we need to do. Now, if you will excuse me, it's 9:00 Mountain Time. Time to start my daily word count! I love that verse so much! We used that for our New Years Eve verse last year, it's absolutely wonderful... and Keli Gwyn found a plaque of it for the final gift of the day. "Have I not commanded you?" Such strength and focus. I love that. I love both. One of my very favorite verses and one I use in my books a lot is Psalm 27:1 The LORD is my light and my salvation-- whom shall I fear? The LORD is the stronghold of my life-- of whom shall I be afraid? Okay, time to write. I'm almost at the finish line with my first draft of current WIP, and then I delve into edits on my romantic suspense. Modern-day gypsies are VERY GOOD TO CHILDREN. Before they sell them. And knowing we're not alone is clutch because this can be a lonely business and a self-defeating one. If we focus on the horizon, and not on the mud at our feet, we see more of the coming opportunity. And I WILL HAPPY DANCE IN THE STREET WHEN YOU GET THAT CALL!!!!! Love me a good kick-in-the-pants-Ruthy hug! Always welcome. And I LOVE that Josh Wilson song. I've never heard it before - Dream Small -- really shows how moments build into something so much bigger than we think and I can totally see how that relates to writing. Very encouraging. I love that song so much! It's got the perfect balance of wonderfulness... how to manage things and take time for life and still do what God wants you to do. You always have the perfect motivating words for me when I am flagging! Back to work for me! Only because I need them myself! We keep each other moving, my friend!!! A key to motivation is to remove the need to be motivated in the first place. Structure things so that motivation is not needed. Doing this is a very different problem than seeking a source of motivation. Motivation itself is like getting an outside push. The more motivation you require, the harder it is going to be to find that outside source of help. This demonstrates the importance of eliminating the need for any motivation in the first place. To find the right answers you need to ask the right questions. A wise man once said that we have poetry because we don't have enough without it. You'll never need a kick in the pants if your pants are already moving too fast for anyone to kick. 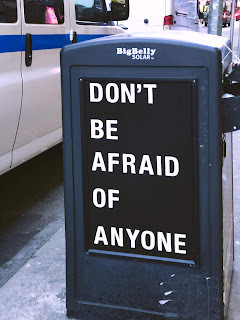 I love the thought of positive addiction... but I know so many people who aren't carrying around inborn self-confidence and they fear failure so the occasional reminder that fear should never, ever, ever be our stumbling block is clutch. You can teach yourself most anything. This isn't like fast-twitch muscles. You're either born with 'em... or Hussein Bolt is going to beat you. Pushing ourselves to be the best we can be, to find the market, to write continuously is so hard at the beginning for some. A beloved member of my church used to say that if I saw her limping it was because the preacher had stepped on her toes with his message. Well Ruthy, I'm limping because I can procrastinate and I can let fear distract me. No, I'm not a writer but I can certainly benefit from this great motivational post. 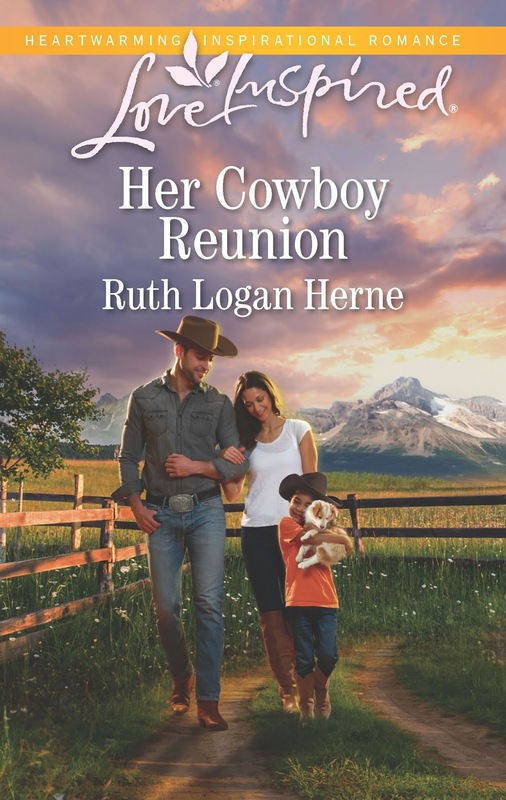 And I can verify that you are caught up with your mailings because I just got "Her Cowboy Reunion" in the mail. Thank you, I am looking forward to it and I would love to throw my name in the hat for "An Unexpected Groom". BTW, your blackberry jam has me drooling. I love it on hot biscuits and in Bkackberry Jam Cake. Hahahaha! Connie, I was soooo far behind. It was embarrassing... I'm glad you got it, and this morning I sent out a dozen books from LAST NIGHT'S FACEBOOK PARTY!!! I agree, this post is good for multiple situations. It's so easy to put things off... and we know it's bad! Why do we do that???? 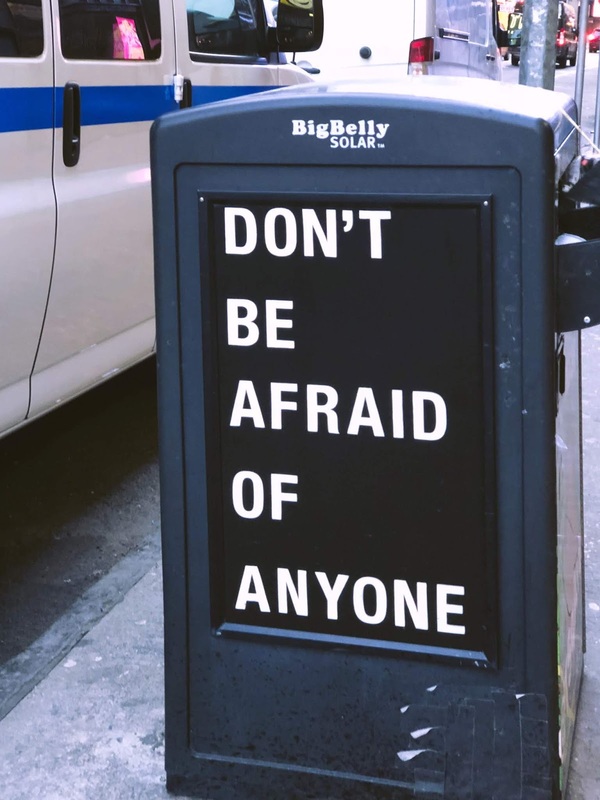 Good for you, shove that fear aside and stand strong. We'll stand strong together! Good one Ruthy! I have cowboy reunion. It was a good one. I didn't procrastinate to read it. Hahahahahahah! I'm so glad! And glad you loved it, I absolutely loved writing that story, Bettie! Thanks for being here today! I cannot WAIT for Her Cowboy Reunion Ruthy. But then I am always on the look out for your books!!! Mary, folks are loving it.... and I hope they love the rest of the series, too! Little Zeke is a scene stealer, Melissa said he's the best kid I've written so far... and you know how I love writing kids!!!! He's a keeper. And I hope you love this new cowboy series, Connealy. I've got some pretty big footsteps to follow in behind you! I know exactly what you mean, sweet thing. Procrastination...thus my excuse for not commenting until 9 pm at night. You always have such great posts and I totally needed to read that today. Yep. My fault. Completely. I will own that. And change it so that it will be my fault the book got done a week early. Hahahaha! We write what we know, right? :) So avoiding procrastination is huge... I think for most of us. And when I procrastinate, I forget... Oy, talk about a round robin, LeAnne!!! I can't believe we are talking about Christmas already. You know with books, we're always two or three seasons ahead. Writing what will come out the following year, and making it seem timely.... so Christmas is always at the back of our minds. Or Valentines Day or Easter or Independence Day.... but I think Christmas ends up being the main one, unless we're doing military stories and then a 4th of July or Memorial Day or Pearl Harbor Day setting connects the dots together beautifully. Ruthy, you're amazing! How did you know that I'm the world's biggest procrastinator? I'm not a writer, but I sure know how to put off cleaning the closets, etc. I saw your jars of jam and thought of the strawberries in my freezer from a couple of years ago. Yep--procrastinating. I'm going to join Procrastinators Anonymous when I get around to it. While you're bottling that jam, please bottle some of your energy and send it to me! :-D I need it! Hugs, sweet friend! Hahahahahah! You know part of it how we're born. So I've always been this way as long as I can remember... which means I do not stop to smell enough roses. And maybe I'll have regrets about hurrying through life, but I figure if God and genetics makes us one way or the other, then that's us, right? And that's all right! Yes, procrastination is my middle name. Sigh. Thanks for the giveaway! Mindy, thanks for admitting it, LOL! That's true for so many of us! Thank you so much for this! I have been struggling lately with this exact thing, and it was such a great reminder to know that God has given us our talents to be used. I usually procrastinate because I am overwhelmed or scared that it wont be good enough. But if we don't share God's talents with the world, how can we truly know the plans he as for us? Question: Would having more time to write motivate you to actually use that extra time to write? I just ordered, for the first time, online to buy groceries. Supposedly you order online, get a pickup time, drive by without getting out of your car and pick up your order…all at no extra cost! Did it really save you time? Are you using that time saved to write more than otherwise? Vince, I can't speak for others, but I do. When the farm season is done and I have more hours I devote them to writing and editing and then more writing. It's like my gift to myself... and it's awesome. It's like SIX MONTHS of high speed production doing what I love best... and then I have to apply the brakes from May through October... and that's the hard part because I love my stories. I just love, love, love telling stories. Wow! I'd say you have an over abundance of 'gotta wanna'! Now we need a post on how you got it. I loved your post on having a writing business plan and love this one on procrastination. I must admit, I have procrastinated quite a bit, but since this is my first year as a freelance writer, I am trying to take in all of the advice I can get. So far, I have submitted a few stories and even got one published and another accepted last week. I also wrote a novel this year and it is off to a publisher. However, I want to do better and need to make a schedule every day for work, since this is the only work I do. I don't have children and still live at home and am taking a break from school, so I have a lot of time on my hands. I just don't know how to schedule a work day as a writer. First, thank you, Kayla! I'm glad you loved the business plan post, to me that's such a clutch step to making our work pay off eventually... so YAY for you! And look at you, stories accepted, a book done. Yay for you, miss Kayla! And I used your name in my first published book "Winter's End".... I love that name! So scheduling: That's one of those individual things. For me I work early, then do something else for a couple of hours, then back to writing, then cleaning, kids or baking, then writing... and by then school's out. So then there's no more writing.... but that gives me a nice back-and-forth time and time to think about what should come next.... and if you're not in school right now, then yeah! Use that time. That would be an awesome opportunity. That Erma Bombeck quote is fabulous. Are you sure the jam has to wait for Christmas? We love that stuff around here! Great post, Ruthy! So much wisdom! Just do it! To the beat of Beat It by Michael Jackson lol. Great post, Ruthy! The sports analogies work for this mom, with DS2 in high school football this year. I think you sounded like a coach without a whistle.